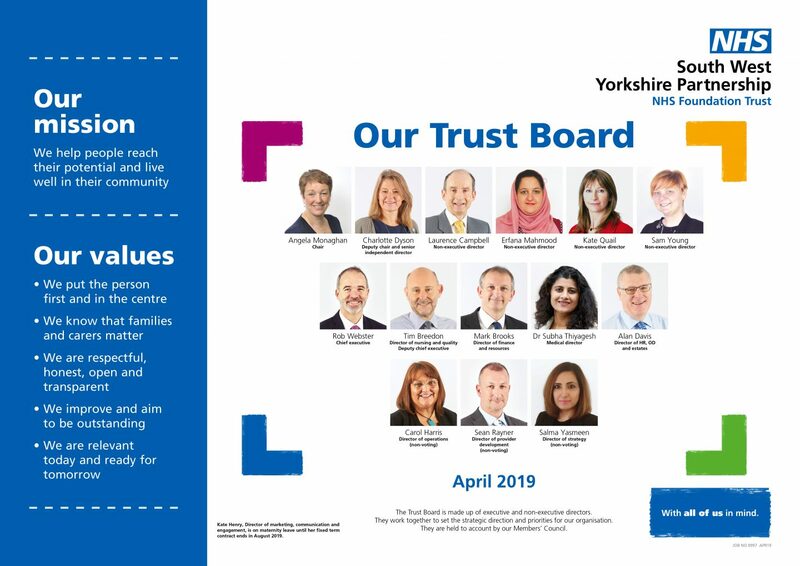 Download our Trust Board poster..
Executive directors are employed full-time by the Trust. Non-executive directors are local people whose wide range of experience and skills contribute to the effective management and accountability of the Trust. They work closely with executive directors to ensure the Trust runs in an open and transparent way, providing high-quality services for local people who need to use them. Our business is conducted through quarterly public meetings – you can find out more about these in our board meetings & minutes section.